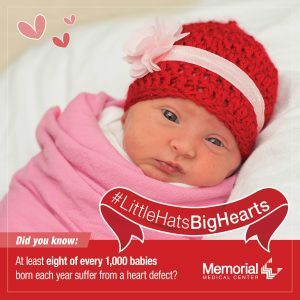 Volunteers from the American Heart Association and Illinois National Bank (INB), the local sponsor of the Little Hats, Big Hearts™ campaign, delivered red knitted and crocheted hats packaged with information about congenital heart defects and the American Heart Association online patient support network. Thank you to employees and volunteers who contributed time and talent to create more than 400 red hats for this initiative! 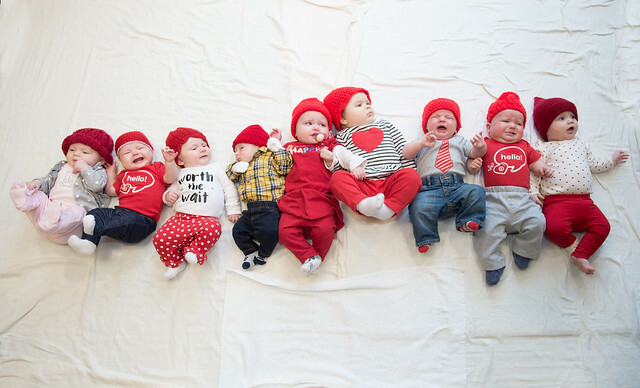 The campaign to raise awareness included informational social media posts on Facebook and Twitter featuring our babies in red hats from Abraham Lincoln Memorial Hospital, Memorial Medical Center and Passavant Area Hospital.